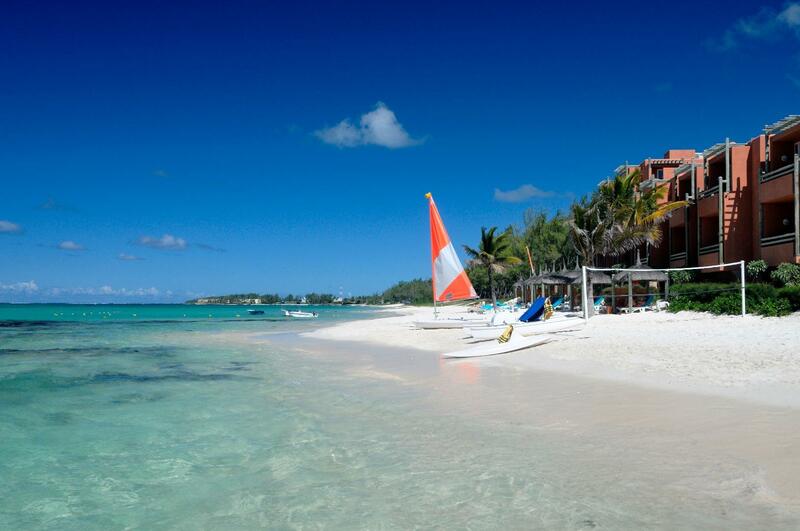 Imagine a boutique hotel on Mauritius' east coast fashioned on a typical Mauritian home enjoyed by a local family. That is exactly the environment created by La Palmeraie. 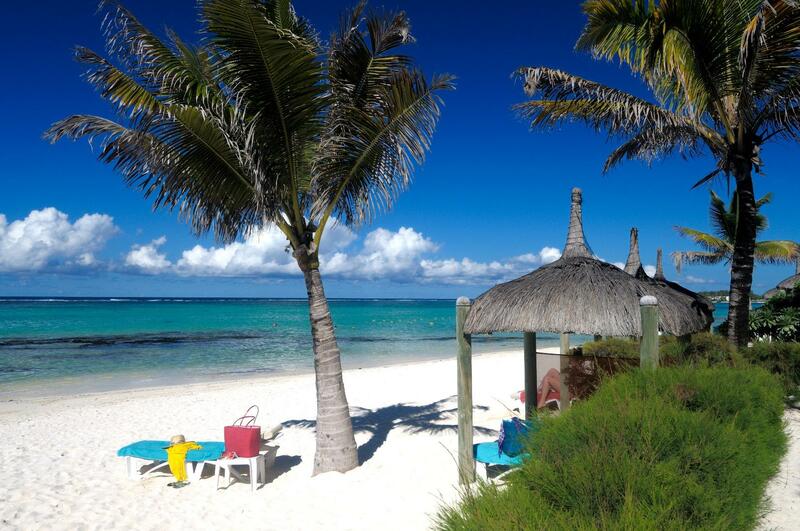 This small and intimate boutique hotel is designed around the guest's enjoyment of the natural beauty of Mauritius without the ostentatious excess found at some five-star resorts. That said, La Palmeraie still offers a quality experience. Rest, relaxation, and conviviality are the theme here. 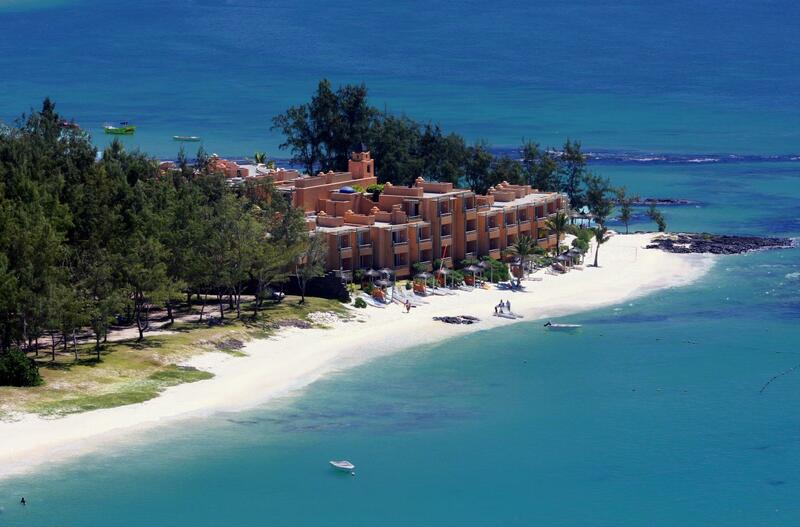 It is all designed to enable guests to become one with what some call the Pearl of the Indian Ocean. 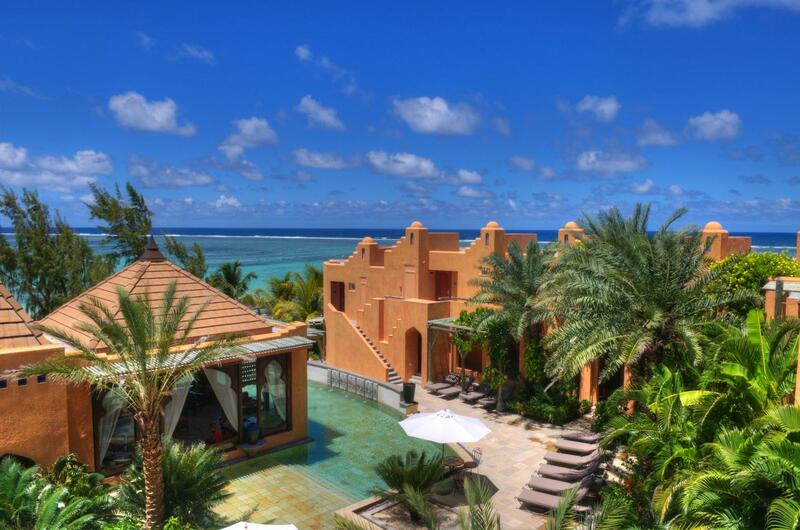 La Palmeraie’s 60 rooms offer a nice balance of modern décor and Asian and Mauritian accents. The rooms are comfortably furnished with large beds and additional sofa beds for extra sleeping. 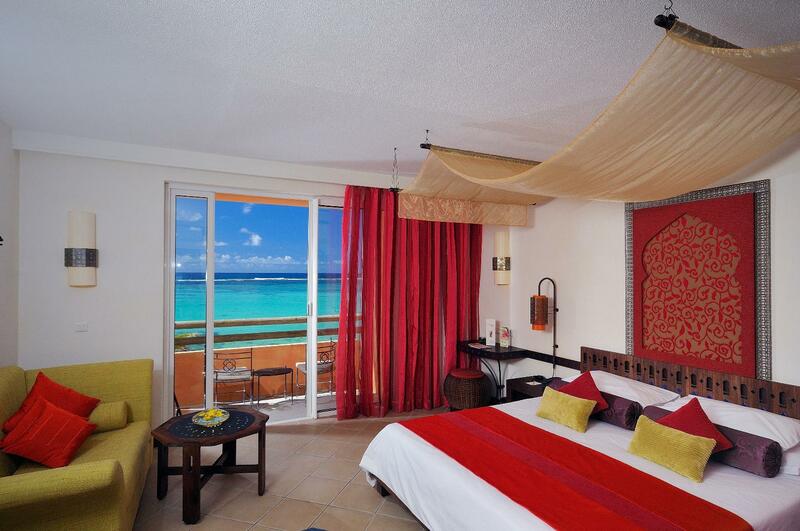 Room categories are as follows: Deluxe Rooms, Superior Rooms, and the hotel's Junior Suite. 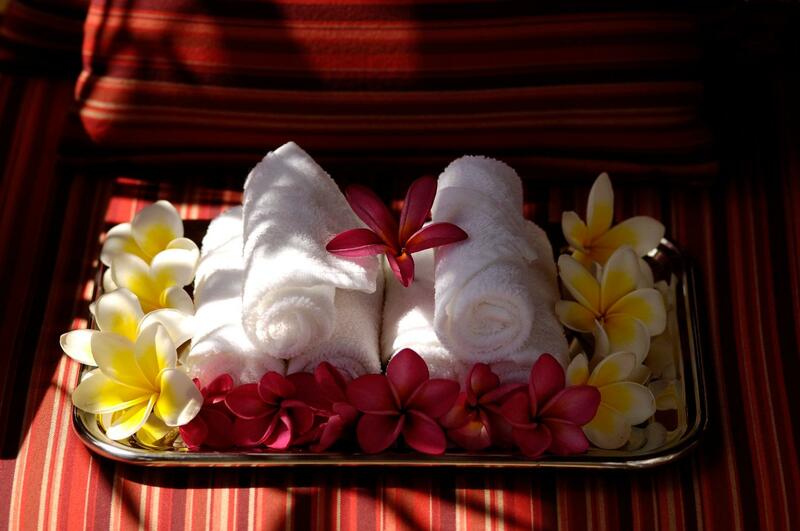 Deluxe and Superior Rooms are located on all three floors of the resort's main building. Each enjoys its own private balcony or terrace with beautiful views of the ocean. Superior Rooms have a second bedroom; the bathroom is shared. The Junior Suite is the only room of its kind at La Palmeraie; it is the perfect choice for honeymooners and other couples looking for a romantic getaway. All rooms at La Palmeraie include a spacious bathroom with walk-in shower, hair dryer, complimentary toiletries, work desk, flat screen TV with satellite channels, MP3 docking station, DVD player, internet access (chargeable), in-room safe, minibar, and daily housecleaning and turn-down service. •La Varangue – A themed restaurant overlooking the hotel's pool. This quaint and intimate establishment serves breakfast and dinner in a comfortable environment surrounded by palm trees and potted plants. The cuisine here is international, with a slight flare for the exotic. •Le Cotomil – Le Cotomil offers a fine dining experience for dinner only. The décor is very warm with rich colours and subdued lighting, providing the perfect environment for traditional Mauritian hospitality. This restaurant serves an international menu with an emphasis on Oriental, French, and Mediterranean fusion. •Le Deck – Seafood lovers will appreciate Le Deck, a small and unassuming little restaurant featuring tables at poolside. The restaurant serves simple and authentic dishes featuring local seafood, grill selections, and salads. •Le Flamboyant – The hotel's bar, Le Flamboyant, is the place to go when you are looking for a cold drink and great conversation. 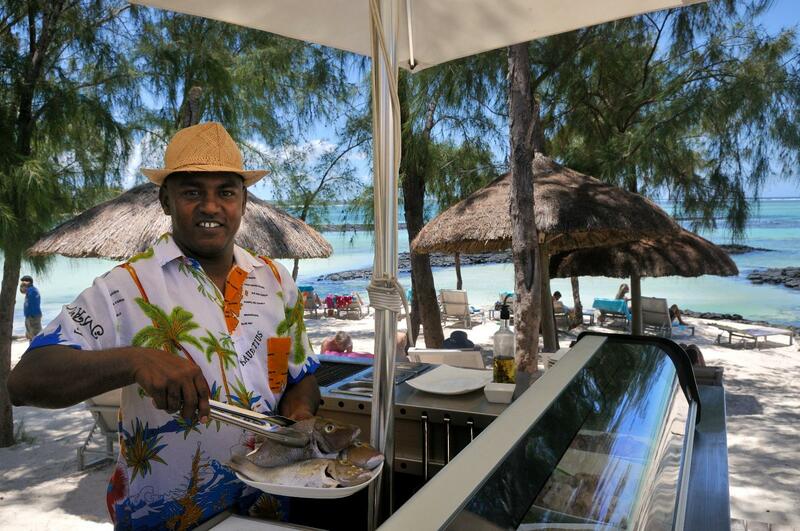 The bar also serves a selection of sandwiches and light snacks in a relaxed atmosphere perfectly accentuated by warm ocean breezes and views of the lagoon. •Room Service – When the mood strikes, feel free to dine in your room rather than going to one of the restaurants. Room service is available at select times throughout the day. The menu offers a range of international dishes along with salads, snacks, and other light offerings.